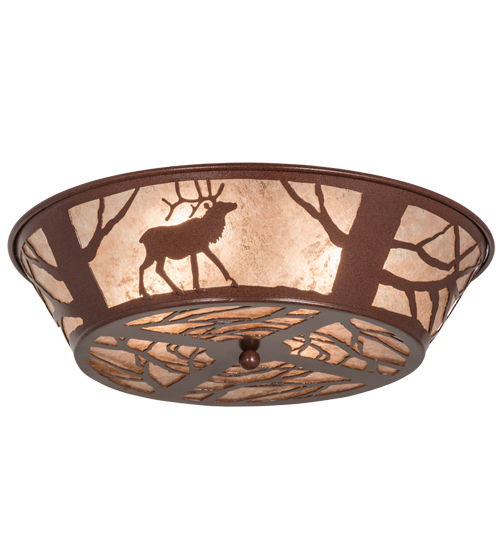 Description: Wildlife charm is captured beautifully with a majestic Elk roaming through the woodlands as tall trees and branches accent a stunning Silver Mica shade, which is complemented with a frame and hardware featured in a Rust finish. The fixture is handcrafted by Meyda artisans in the USA, in our manufacturing facility at the foothills of the magnificent Adirondack Mountains. Custom sizes, colors, styles and dimmable energy efficient lamping options are available.